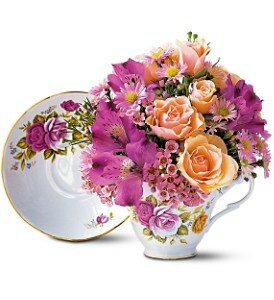 Representing elegance and refinement, pink roses are the perfect match for this precious keepsake teacup and saucer. It’s a special gift that will last for years to come. @ Copyright 2019 Gellings Floral Design, Inc.